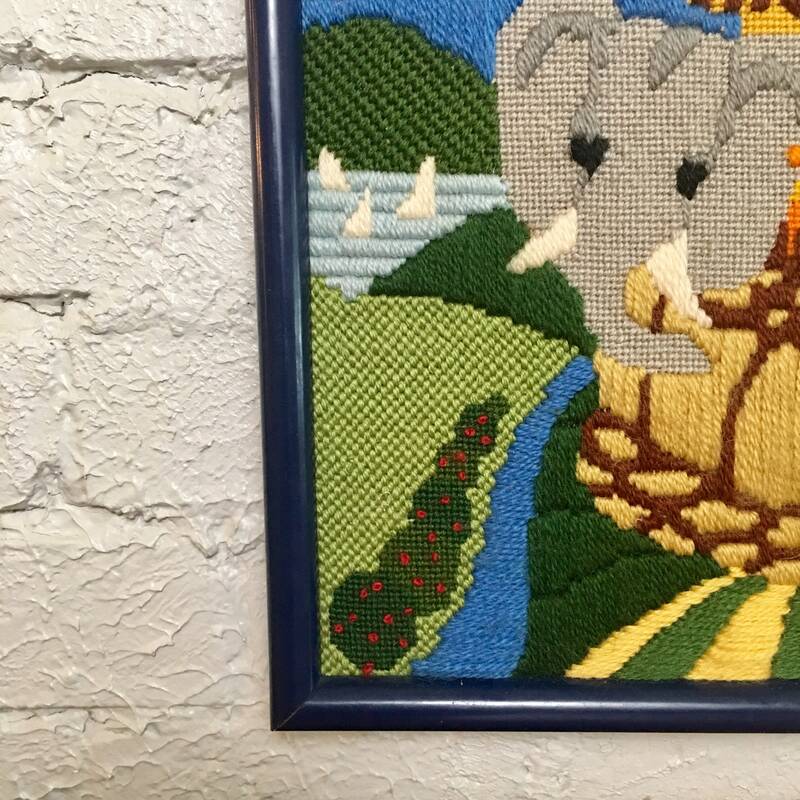 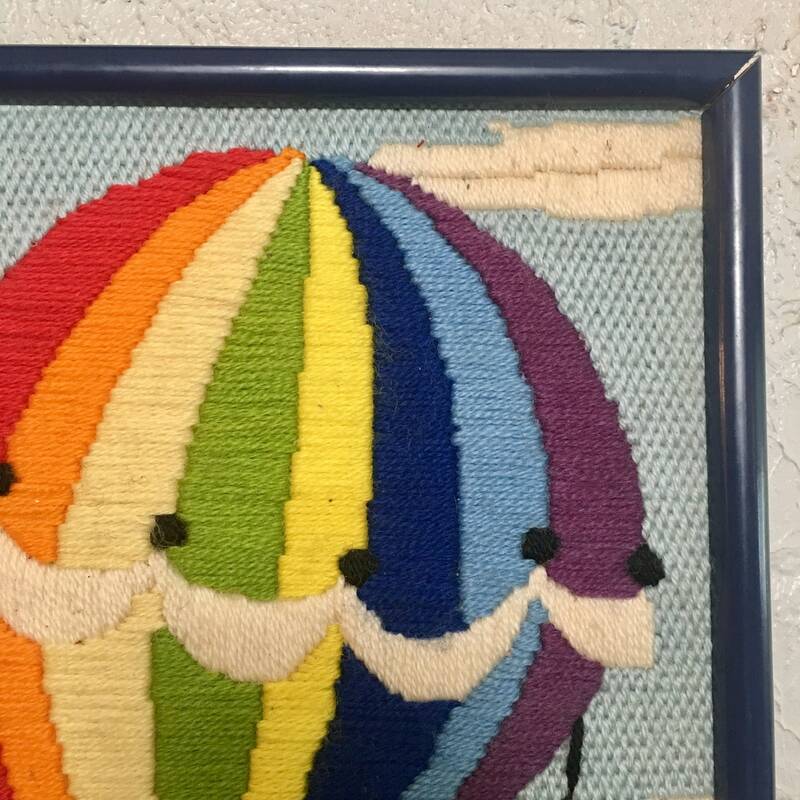 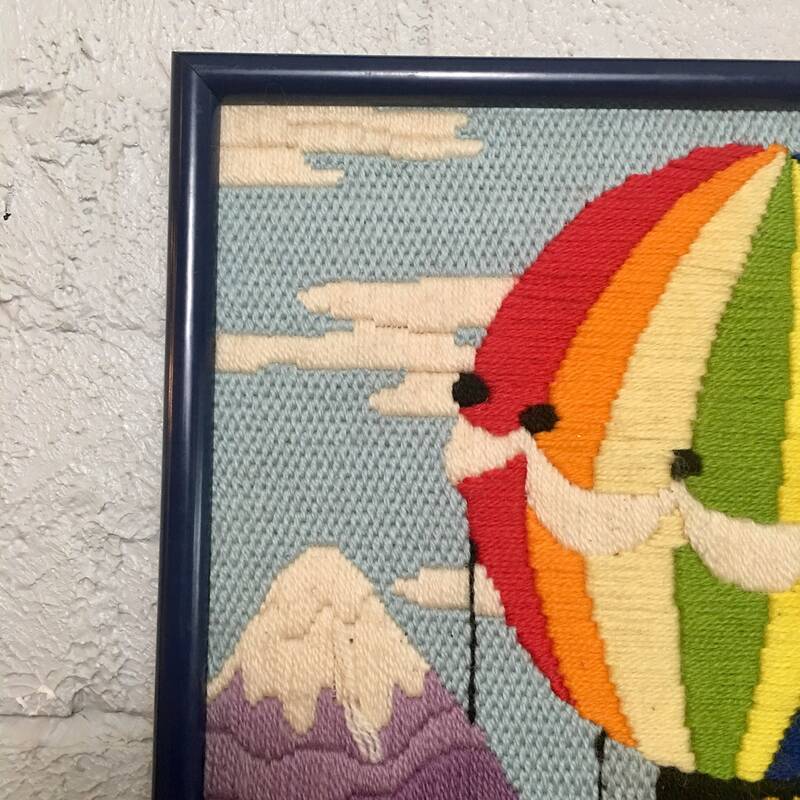 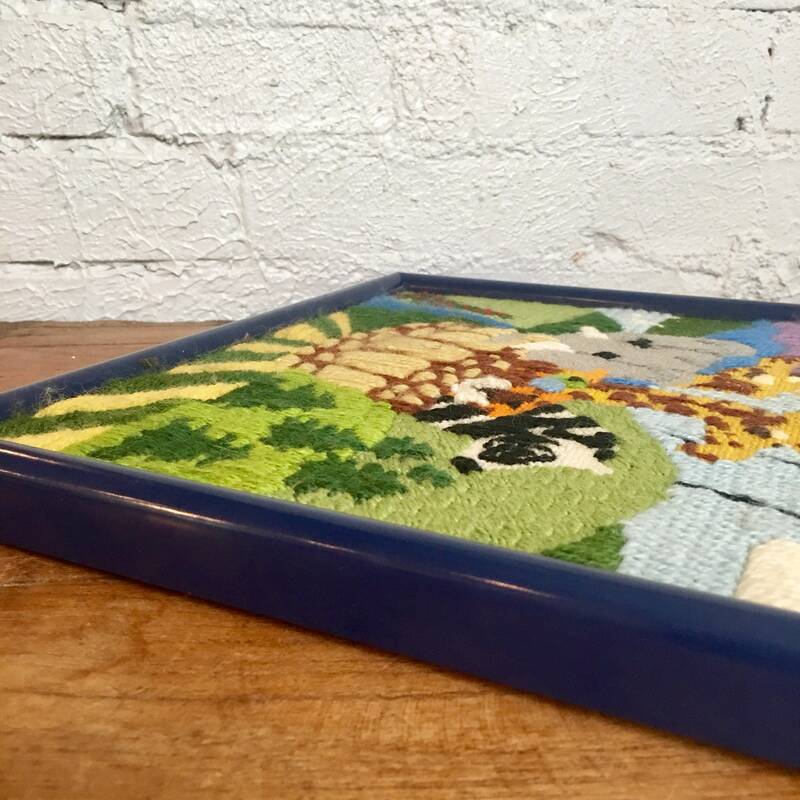 Cute vintage hot air balloon crewel - framed in royal blue and ready to hang! 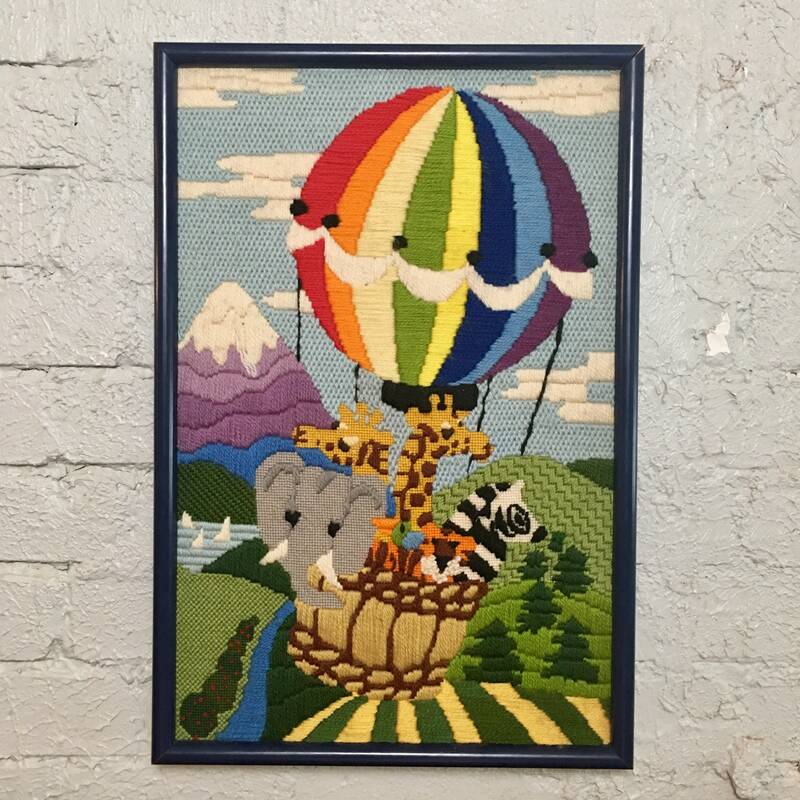 Hot air balloon is filled with giraffes, an elephant, tiger, bird and zebra soaring over a green landscape. 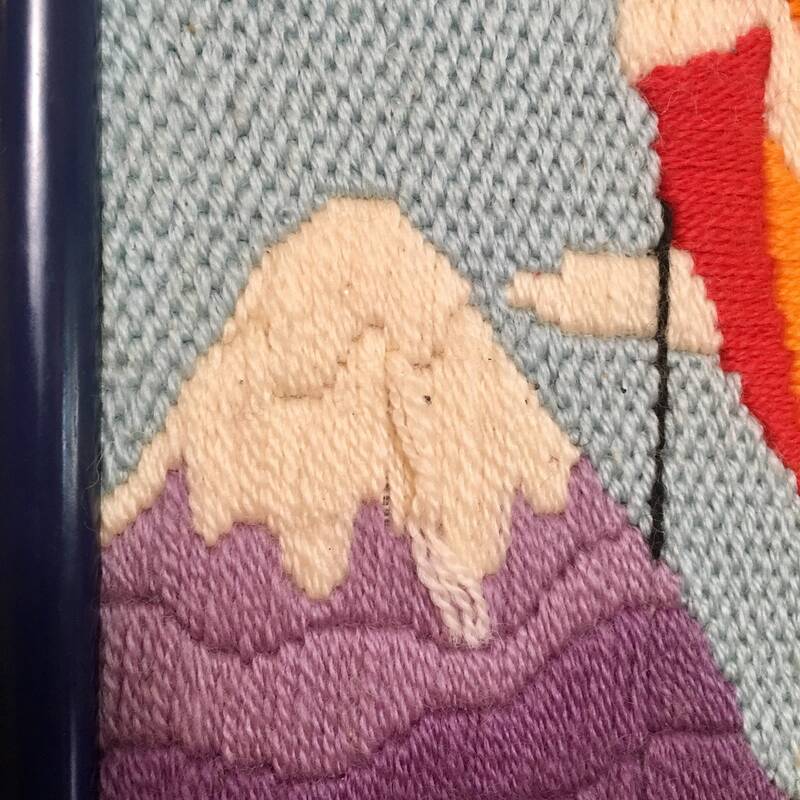 There is a pull in the white mountain peak, as detailed in the above picture. 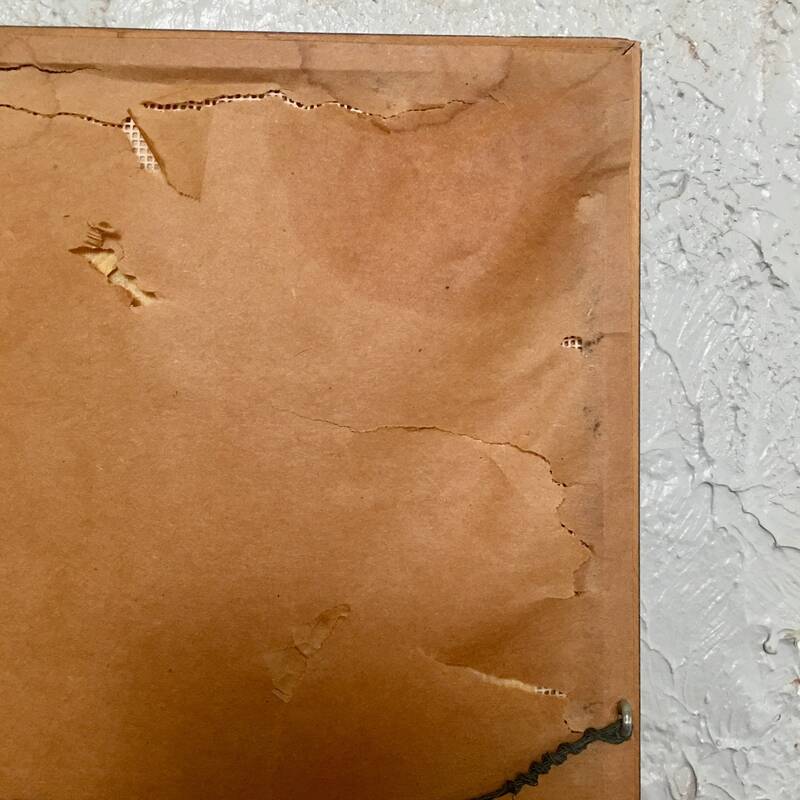 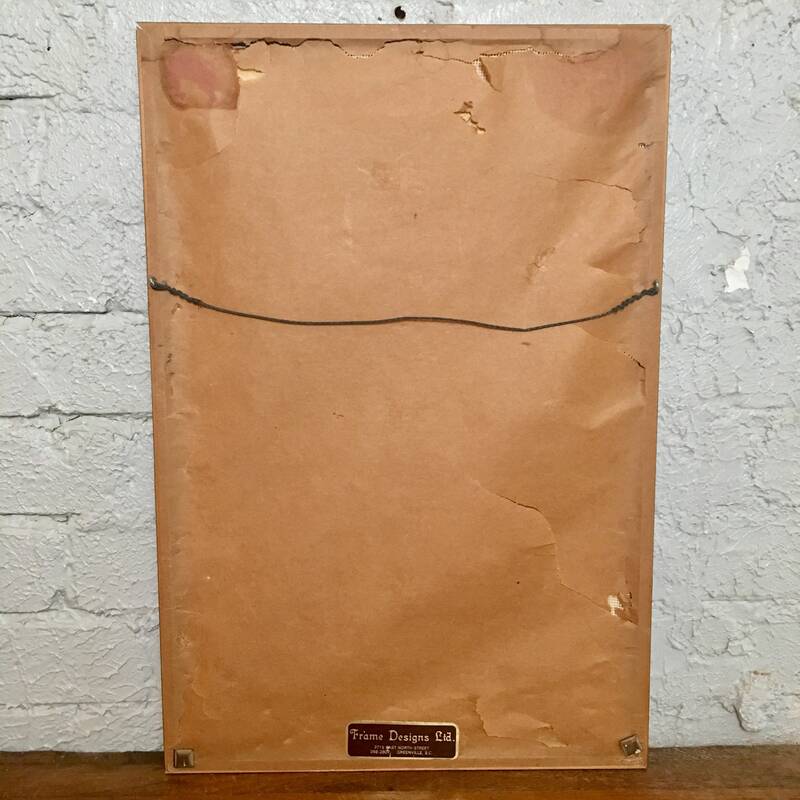 Hanging wire on the back, tears in the kraft paper backing. 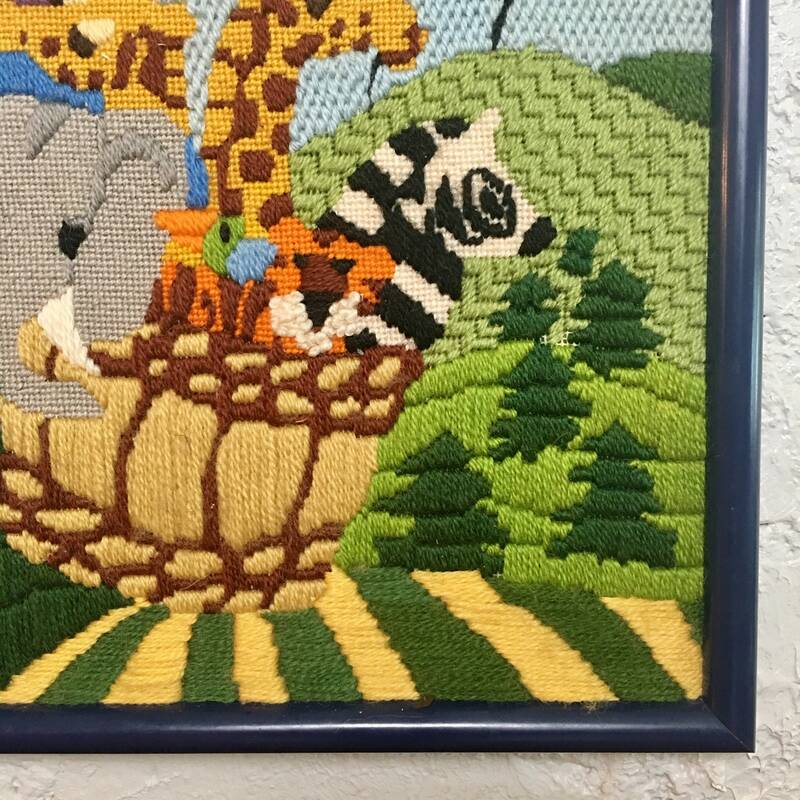 Perfect for a nursery or playroom.